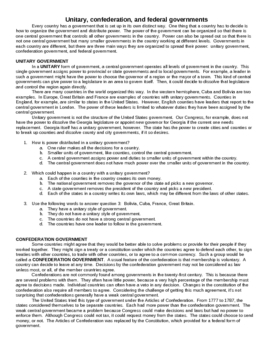 This is a two page handout that describes the way governments distribute power; Unitary,Confederation, & Federal. It does a really good job of explaining this very difficult concept for students to understand. After, the reading there are a few comprehension multiple choice questions to answer.